Les Francofolies is an annual summer music festival held in Spa, Belgium, that promotes francophone music and attracts huge crowds. 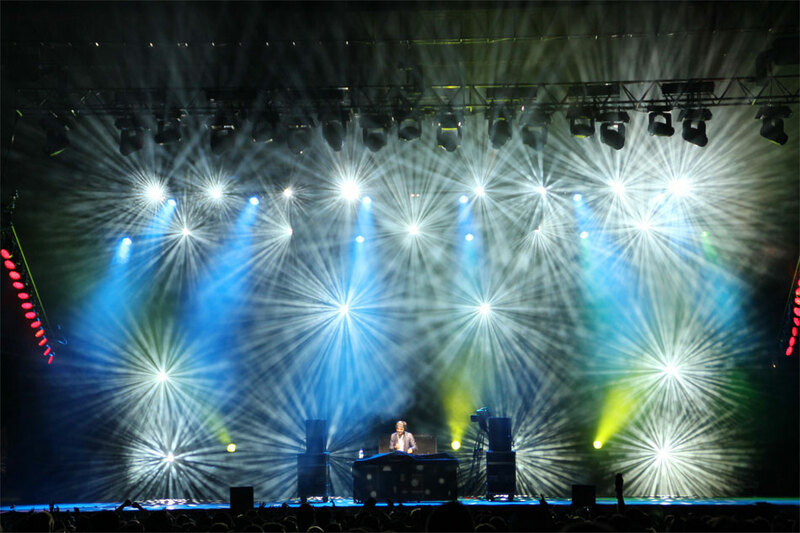 The main audio visual partner for the festival, ARTO, handled production and lighting design and turned to an all-Martin lighting rig that included Martin Professional’s MAC Viper Profile. The MAC Viper Profile is a new breed of high-output profile luminaire with an exceptional feature set, superior light quality and a highly efficient optical system. It outperforms all market leading profiles in the 1200 watt range and is even an alternative to 1500 watt fixtures. The Viper Profile is not only brighter; it is also a faster and more compact solution. With its 1000 watt HID source, the Viper consumes less power, making it over 50% more efficient than its 1200 watt rivals. Gilles used other Martin fixtures as well, including the MAC 2000 XB Wash, which he liked for its power and good color mixing, and the MAC Aura, which he praised for its colors, zoom and power savings. He also calls Martin’s industry-standard Atomic strobe one of the best on the market. All Martin lighting was supplied by ARTO, a high quality production company near Brussels. Each unit was very well maintained and there were no errors during the five-day festival. This was extremely satisfying and contributed to the success of the project.